Massage is more popular in women than men. The idea of going for a massage conjures up visions of spas and pampering which many men don’t see as being very masculine. This is a shame but massage has many benefits for men too, some of which may be just what they need. Studies showed that men are more likely to store up stress and worries while women are more likely to share them. The downside of “bottling up” this stress is that men are more likely to be both mentally and physically tense. Irritability and trouble sleeping can be linked to anxiety and massage can help a man to relax and ease out tension in the muscles. A relaxing massage can also be a regular and welcome diversion from problems, and may be just the ticket for a man when he comes home from a hard day at work, or right before going to bed. Men who work in very physical jobs as well as men who drive long distances may have particular need for a massage. With work that involves a lot of lifting or being active all day, muscles can easily get tired and even damaged. A daily massage helps release stress and relax muscles to ensure that problems don’t develop get worse over time. Injuries as well though can be managed with massage therapy. Here’s reasons why massage is not for women. A massage reduces stress levels in most people. Massage may also help manage or reduce the symptoms of anxiety and depression. While massage was improved can reduce depression symptoms, some people with depression feel that their symptoms decrease after massage. Massage can also bring other benefits, such as better sleep, increased energy, better concentration and less fatigue. 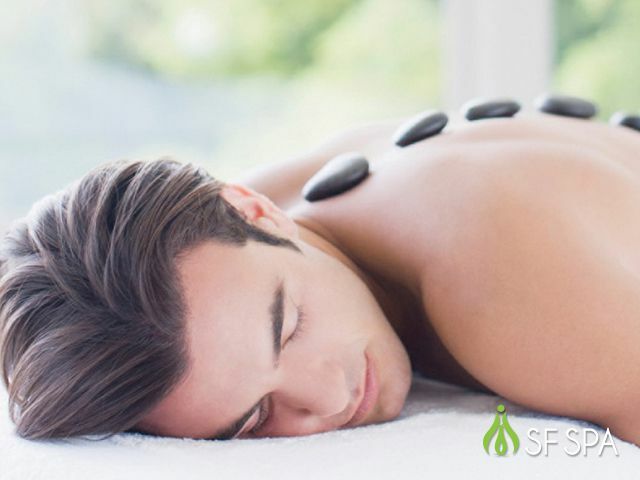 A full body massage can relieve pain and tiredness in the body. The full body massage may release endorphins, which act as a pain reliever. Massage sometimes helps relieve muscles pain. Muscles that are tired, overused or otherwise sore are able to relax and soften through the massage. A massage may help an athlete’s soreness after a hard workout or benefit a sports injury. Massage can increase circulation by assisting oxygen and nutrients to reach tissues and organs. A massage may help control blood pressure. While these benefits may offer positive medical benefits, you should continue regular medical care with your health care professional, particularly if you have a medical condition. A full body massagehelps remove dead skin cells over the entire body for improved skin tone. The stimulated blood flow benefits the appearance and health of the skin. The massage can also encourage tissue regeneration, which may help reduce the appearance of scars and stretch marks.